Hawks, Annie Sherwood. 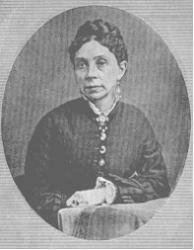 Mrs. Hawks was born in Hoosick, N. Y., May 28, 1835, and has resided for many years at Brooklyn. Her hymns were contributed to Bright Jewels, Pure Gold, Boyal Diadem, Brightest and Best, Temple Anthems, Tidal Wave, and other popular Sunday School hymnbooks. They include "I need Thee every hour" (written April, 1872), "Thine, most gracious Lord," "Why weepest thou? Whom seekest thou?" and others of the same type.